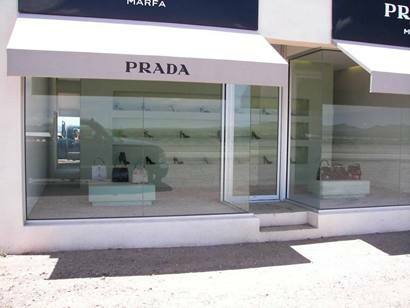 On July 17th, Cathy Pittard answered the question of the "missing" Prada Marfa by writing: "Regarding the last question in the forum (January 2007): Prada Marfa is still there - it's just located on the other side of town. Head out of Valentine toward Van Horn, and it will be on your left in a mile or so. Glass and merchandise intact, but looks like the exterminator visited the store recently." 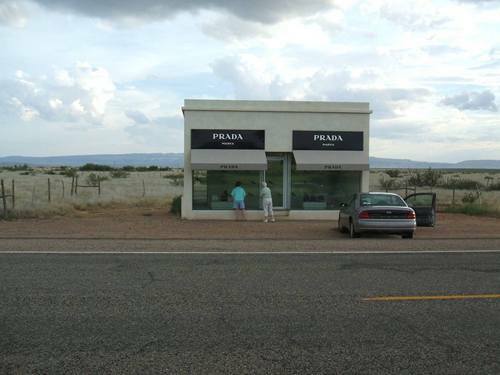 Dear TE, Is Prada Marfa even still there? 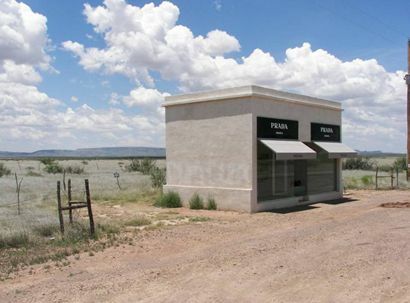 I work in Big Bend National Park and made a special trip out on Hwy 90 all the way from Marfa to Valentine to shoot it, and could not find it anywhere. (I did see the blimp base, however.) 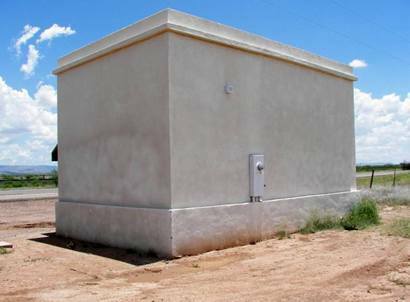 Is it right by the side of the road, or is it off aways? Please advise. 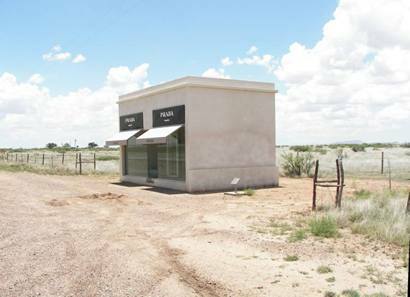 [Dear TE], I have had two wierd encounters on highway 90 from Marfa to Van Horn that caused me to stop, then laugh. My first encounter was when I was driving Hwy 90 for the first time last December and I noticed the border patrol blimp from the back-end. It looked like a propeller floating in mid-air - attached to nothing. The road was so flat and had such little traffic that I was able to watch it and drive at the same time using my peripheral vision. At one point I actually got out of the car to study it and try to figure out what it was. It was not until I got [directly] under it that I could see the entire thing. Then I wondered all the way to Van Horn who had lost their blimp. I imagined the Texas winds placing [it] out in the middle of nowwhere. Someone in Van Horn clued me in [as to the blimp's function and ownership].